There are many places await you to discover in Tamsui, the old street is not the only one you must visit. Tamsui is a city of cultures, you may find lots historical sites all over the place, and the Cloud Gate Dance Theatre just completed and opened on this Apr. 24 which brings different charms to Tamsui. Here was the 1st Port in Taiwan; the shipping not only brought commodities but the starting point of Western civilization and cultures. 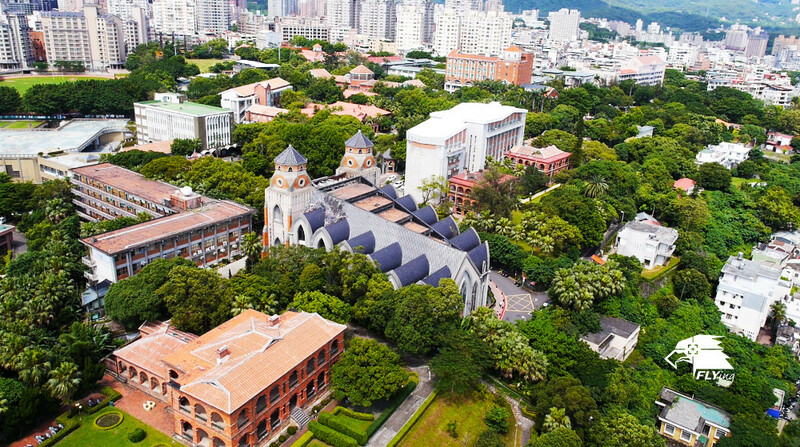 There are almost 20 historical sites at Tamsui, a variety featured architectures including British, Spain, Portuguese, Japanese, and Chinese. Such as British red brick walls, Spanish chalk cloister, and the ‘Hobe Fort’ built by Liu Ming-Chuan which is called ‘The Key of North Gate’, and four temples as monuments. Also here got the 1st-class National monuments – Fort San Domingo, and the Church of Aletheia University has the 2nd large Organ…etc. All these beautiful sceneries and charming stories show Tamsui’s elegance and full of historical, and await you to discover more surprises.